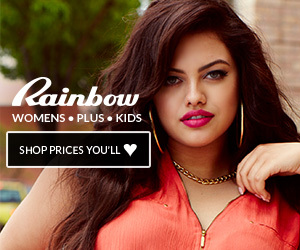 Plus Size Clothing 4 Me fashion magazine is managed by two women whose effort is to share their own experience in shopping online fashionable and affordable apparel for real full-body women. Real women do have curves so the clothes should flatter their best assets and hide unwanted ones. We think that curvaceous women look better than their pin-thin sisters and the positive attitude toward their body and appearance is that matter. People always look exactly the way they feel. This site is made possible through the support of sponsored posts, advertisement and affiliate programs. Sponsored posts are fully disclosed as well as any complimentary items gifted or received for review. All opinions are ours alone and all products/brands recommended are carefully considered and only shared if they are considered valuable to our audience.